Online ordering menu for Chopsticks Asian Cafe. 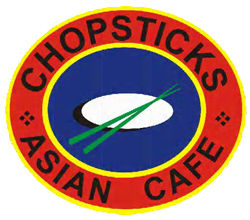 Visit us at Chopsticks Asian Cafe, McKinney's hot spot for authentic Chinese food! Grab a bite of our Sesame Chicken or taste our mouth-watering Imperial Shrimp. Order online for carryout and delivery today! You can find us on University Dr and Central Expy just west of Highway 75 and east of Kroger.